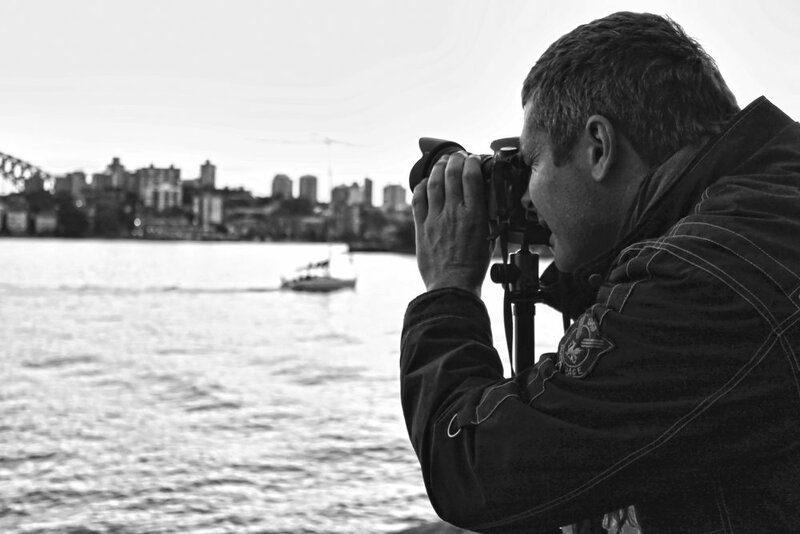 Sam Crawford offers his unique Photography and Video production skills for visual recording services at corporate events, weddings, portraits, children, pregnancy, landscape, pet and nature events across Australia. Using an unconventional approach to visual documentation, Sam Crawford at Northern Beaches works to capture the moment or event from an organic perspective. Sam Crawford is one of those people who stood at the precipice of the IT revolution and instantly saw the potential. He translates that vision for his customers. That’s what makes his service unique. To anyone who is looking for a professional to photograph their perfect wedding day memories; without hesitation, I would recommend that you use Sam Crawford. The brief we gave Sam for our day was to capture before, during and after shots but with as little ‘posing’ as possible. We wanted real life expressions, movements, moments, reactions and we asked for a lot of specifics. Sam was insistent we went to the location and we discussed our requirements intently beforehand. But, on the night, we didn’t even know he was there; an absolute professional. The memories Sam has given us of our day are out of this world. 110% over and above what either of us could have dreamed of. Sam’s attention to detail on all our photos is second to none and because of him, we can look back in years to come and we have every precious moment caught on camera! Please look under ‘Nic & Murray’s Wedding’ on Sam’s website Portfolio and see for yourself. I posted some photos on Facebook and the reaction from our friends is sensational; we’ve had comments like ‘Wow, it looks like an OK! shoot’, ‘the best wedding photos we have ever seen’ etc. The Tea Rooms Gunners’ Barracks have also requested Sam’s details from me so they can put him on file for other couples wanting a great photographer. Should you need to talk to me about Sam’s professionalism or work, please ask Sam to put you in contact with me.